This can be a hotly discussed topic, and the bottom line is that there is no need to know where Hell is – but rather how to avoid it! But for discussion sake, scripture doesn’t specifically give us the location of hell but it does give us the location of Satan’s rule – and it is most definitely above the earth, not below it. Let’s look at scripture to prove this fact out. NOTE: I do not believe in Paradise as a holding tank, but rather as Heaven itself, based on this scripture alone. When raptured, as is described here, we are not taken up to a holding area, but rather directly to Heaven. Since the scripture calls heaven ‘Paradise’, that’s good enough for me. Here we are told about the existence of a third heaven – and that this is where God sits in the throne room. The important thing here is that there exists a third heaven. This is important because, as Derek Prince once said,"if there is a third heaven, and obviously there is, then there must be a second and first heaven as well!" So, we have God established on His throne in the third heaven, what about the second heaven? 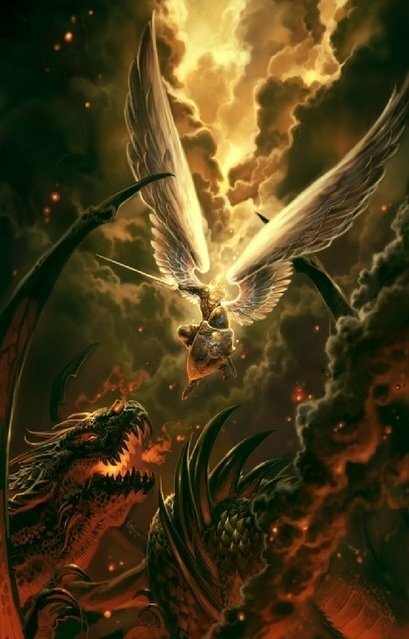 In Daniel 10:10-13, Gabriel comes down to Daniel with an answer to his persistent prayers and explains that the reason it took him three weeks to get to him was because he was fighting with the Prince of Persia, a demon sent by Satan to stop Gabriel. 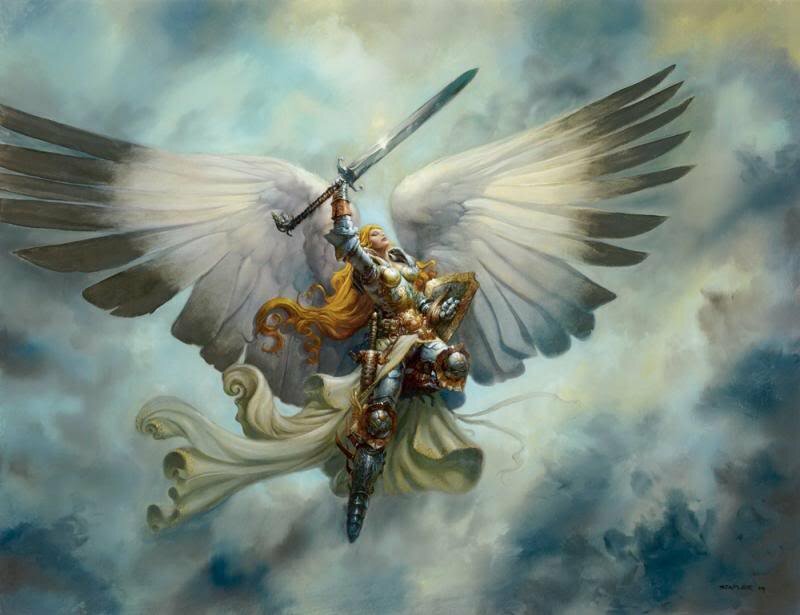 It was only because of Archangel Michael’s intervention that Gabriel was able to get through and deliver the message to Daniel. The point here is that in between Heaven and Earth there is another ‘heaven’ if you will that is of Satan. This is the second heaven. Satan runs it and his demon angels do Spiritual warfare over our prayers there. This is a fascinating teaching in and of itself but to stay focused here - the point is that there is an area between Heaven and Earth, a ‘second heaven’, ruled by Satan and his demonic minions. That leaves us with the first heaven, what does the Bible have to say about it? The Bible is quite clear about the existence of a first heaven as well. In Revelation 21:1 it says “Then I saw a new heaven and a new earth, for the first heaven and the first earth had passed away, and the sea was no more.” Again, not to delve into the meaning of this scripture but to simply acknowledge that there is obviously a first heaven, along with a second and third heaven. So, what about Hell? What does the Bible have to say about the geographical location of Hell? Not much as it turns out. There are scriptures saying that Hell is ‘down’ but these scriptures can easily be interpreted to mean not down in the sense of the direction ‘down’ but that the writer really meant down as in ‘fallen’. These scriptures include: Isaiah 4:14; Matthew 11:23 (Luke 10:15 the same), among others. So, the bottom line is that we are shown that Hell is somewhere below Heaven, but that is all. Another example, Isaiah 14:9 says “Sheol from beneath is excited over you to meet you when you come.” This could just as easily be interpreted to mean beneath heaven as it would to mean beneath Earth. The scripture is totally unclear as to a reference point from which the ‘beneath’ exists. Ezekiel 31:14 says “For they have all been given over to death, to the earth beneath, among the sons of men, with those who go down to the pit.” Certainly not enough information to define the location of the pit. Besides, where is ‘beneath’ the Earth? The entire concept doesn’t make sense. No matter where you are on the planet there is only up! In order to have Hell beneath the Earth there would have to be some hollowed out ‘middle earth’ thing going on – and no such thing exists. My question is this: If Satan stands for everything ‘wicked’ (which he does) and Hell is below us, how is it that the place where we do Spiritual warfare against wickedness is in the “heavenly places”? This tells us very specifically - and much more directly than any commonly quoted scripture about Hell being below us - that Satan’s domain is not somewhere below us at all, but above us – in the heavenly places! "And you were dead in your trespasses and sins, in which you formerly walked according to the course of this world, according to the prince of the power of the air, of the spirit that is now working in the sons of disobedience." "is a fire, the very world of iniquity; the tongue is set among our members as that which defiles the entire body, and sets on fire the course of our life, and is set on fire by hell." To further the idea of Satan being the Prince of the Air, in the ministry of Deliverance, demons are usually (90% of the time) expelled by way of the breath by coughing, sneezing, yelling, groaning, etc - almost always associated with the release of air through the mouth. With this understanding it all comes together to point to Satan's rule at the very least being 'in the air' somewhere. In conclusion, after studying the scriptures regarding Hell, I can only surmise that we first must have an accurate understanding of heaven in order to identify Hell, that there are three distinct heavens: the first is Earth and everything we can see above us or as far as we can travel by any vehicle ever to be designed, the physical realm if you will; the second, somewhere above that, is purely a spiritual realm in the supernatural where only supernatural beings exist and is ruled by Satan and his demon angels, and the third is above that even and is the dwelling place of God in the throne room. Based on scripture, specifically Ephesians 6:12, Daniel 10:10-13 and Ephesians 2:1-2, I can only conclude that Satan's ruling place, or Hell, is definitely above us and located somewhere in the supernatural realm of the second 'heaven' - somewhere between Earth and God's heaven.